your general Ledger number by entering it in the "HQ Transfer from account number" in the payment information on the online registration. ResusCon is the first annual meeting where we bring together EMS providers, ED and ICU providers, critical care nurses, technicians, respiratory therapists, allied health professionals, hospitalists in addition to many others to bring this conversation to fruition. Please join us as we do a deep dive into the concepts of critical care as we all invest in upgrading our own medical decision making from world renowned speakers right here in the Hudson Valley. Compassionate and coordinated care amongst the entire chain of survival is integral for delivering the highest quality care for our patients. We sincerely hope you will join us for our inaugural conference and encourage your co-workers and family and friends to join us on our mission for saving more lives. Patient care has benefited tremendously from innovations in the life sciences, academic research into various disease processes, incorporation of previously unheralded technologies into medical practice, not to mention, cutting edge compassionate care from EMS providers all the way to the ICU -strengthening the chain of survival. Resuscitation is a team sport and when dealing with a critically ill or injured patient we must come together as a medical community to deliver the highest quality of care. EMS providers can be dispatched to a critical call any time of the day and must use their armamentarium to not only stabilize patients but indeed initiate critical lifesaving interventions en route to the hospital. Stay and Play versus Scoop and Run are antiquated EMS concepts and indeed in the modern age we train prehospital providers to Think and Act before they even arrive on scene. 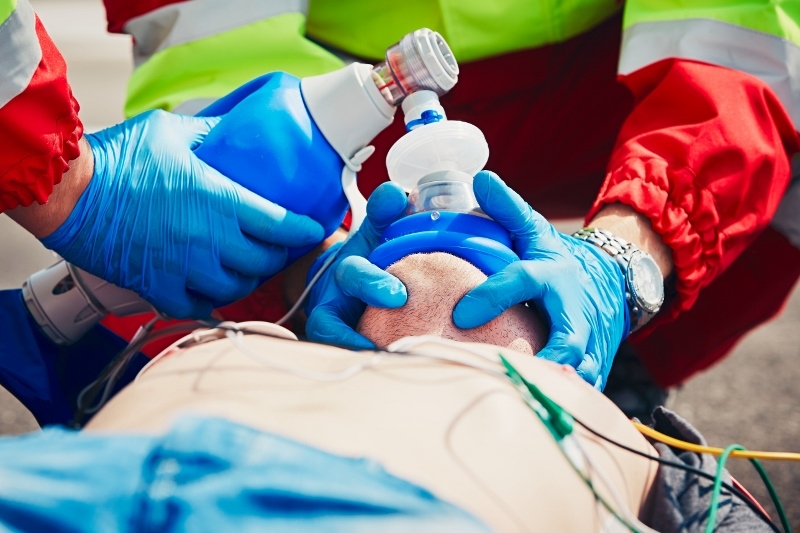 Critical care medicine whether in the emergency department or in the ICU is steeped in the rich tradition of investing in providers’ medical decision making. The latest technologies nor fancy gadgets without a sharp mind are unlikely to confer benefit to our patients. By having a complex understanding of our patient’s pathophysiology and working in empathic interdisciplinary teams we can deliver the best care to our patient’s and provide much needed emotional support for our patients. By upgrading our own clinical acumen and providing critical interventions in a timely manner we give our patients a fighting chance. Integrating the concepts of critical care from EMS to the ED to the ICU is our grand goal for the Hudson Valley which we vociferously endorse at all the HealthQuest campuses.